I just had my baby and I am supposed to be happy and excited- but I am not. I am gloomy and not really sure why I am so sad and angry all the time. It is estimated that approximately 60-80% of new mothers experience some form of “baby blues” which come out of the blue after birth and make them miserable. Baby blues are a result of too many things happening at once, physically recovering from birth, hormones(estrogen and progesterone drop after birth), lack of sleep and the pressure of taking care of a tiny and demanding human being around the clock is overwhelming and tiring, to say the least. The good news is that it lasts only for a couple of weeks and you start feeling better with the passage of time. Unlike baby blues, postpartum depression (PPD) is something serious, lasts longer and needs medical attention. 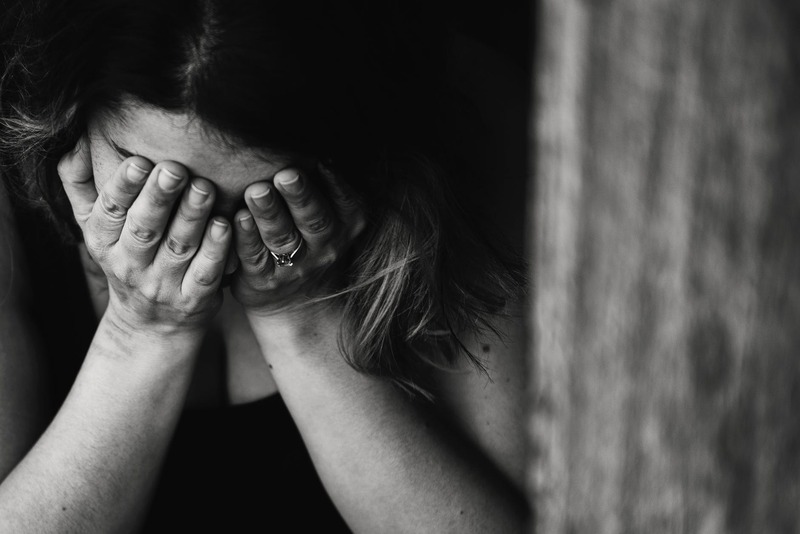 Insomnia, suicidal thoughts, thoughts of harming the baby or the feeling of inability to care for the baby are some of the symptoms of postpartum depression. If you experience any of these symptoms, please seek medical help. The Edinburgh Postpartum Depression Scale is a tool to assess ppd. You can take the test by following the instructions in the end and if you score more than 13, please seek medical help asap. PPD can be treated and it makes no sense to suffer silently if you can be helped. Dr. Soliman Fakieh hospital and Dr. Erfan Bagedo hospital have good psychiatrists on board who can help you. If your insurance does not cover these hospitals, apparently JNH also has a male psychiatrist. Expat mothers are more prone to experience baby blues and postpartum depression because of the loneliness, sense of isolation and the lack of a support system around them. There is no family to rely on and no back up in case you need a breather. Here is some advice to combat with, or even better, prevent baby blues. Communicate:- Don’t just assume your husband will get it- he won’t. Keep the lines of communication open and tell him clearly what you want and need from him. Assign him some duties and keep reminding him of his new jobs. This is as new to him as it is to you. He will learn, as you learned. Take some time out for your relationship with your spouse. As unappealing as it sounds right now, your heart will thank you later for it. Assign some time fo the day to spend only with your husband, even if it is for 30 mins every night. Talk to him about your day and ask him about his. Try to avoid talking about the baby. Go see other women:- Join mom groups in your city and on Facebook. Seek advice, vent or ask for support. The MaternaTea moms’ support group has been recently started in Jeddah where mothers are offered support for free over tea and snacks. If you have neighbors who you are comfortable with, spend some time with them during the day when the men are not at home. Take care of yourself:- Don’t neglect yourself in the pursuit of being a good mother. Eat on time, drink your coffee while it’s hot and take warm (or cold if it’s summer :p) showers. Do not compromise on your sleep. Call someone:- Messed up sleep schedule plus different time zones might make it hard for you to take out time for some much-needed phone calls to your mom, sisters or girlfriends. Make those calls. They will be happy to give advice or just hear you out. Let go of the housework:- It is ok to pile the washed laundry on the chair and let the dishes sit in the sink for a day. Don’t beat yourself over unfinished chores. Do them when you feel like doing them or better yet, ask the husband to contribute to the housework. Get out of the house:- It may seem like a daunting task to gather all that baby stuff you might need and get out of the house, but do it. Go to the local park, or better, the corniche for a stroll. The baby will enjoy the fresh air as much as you do and your husband will be a happy man too. Thank you… great advice. This lack of support as a new mother is a huge reason why Pathways was my dream for the women here in Jeddah. And it is great how other women have also realised that we need to team up, support and help each other. Btw, you mention MaternaTea moms’ support group… please share how someone might get into contact with them.